A-CYST solution is a patented formulation designed for temporary replenishment of the glycosaminoglycan (GAG) layer in the urinary bladder. 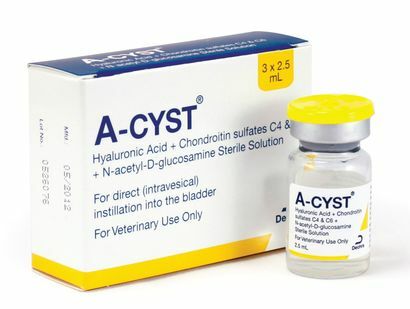 A-CYST solution contains naturally occurring components of the GAG layer of bladder epithelium. The GAG layer normally provides a protective barrier against microorganisms, carcinogens, crystals and other agents present in urine. The GAG layer has been identified as a primary defense mechanism against these irritants. Deficiencies in the GAG layer may affect epithelial barrier function and allow adherence of bacteria, microcrystals, proteins and ions, or movement of solute residues (i.e. urea).